No, it is not about the TV show. I have been meaning to do a review and a spotlight on this series for quite some time now. Marvel Comics has been publishing the X-Factor title for awhile now, starting back with a team that was made up of the original members of the X-Men: Cyclops, Beast, Jean Grey, Angel and Iceman. So, of course there have always been comparisons to Marvel’s flagship merry mutants. Since then, the roster has changed drastically, with the one of the most memorable rosters being led by Cyclop’s brother, Havok and consisting of the Multiple Man, Strong Guy, Quicksilver, Polaris, and Wolfsbane. Now, here we are in 2012, and much of the roster is the same, yet the book is drastically different and can now never be called an X-Men knock off. The current series bring something to the book that no other team book is doing right now: the true, organic sense of a dysfunctional “family”. The team was led by Jamie Madrox, the Multiple Man: a character that stepped up in a huge way since the newest X-Factor relaunch some years ago. Now, the team is led by Havok and Polaris, with Madrox, Strong Guy, Wolfsbane, Siryn, Layla Miller, Rictor, Shatterstar and Longshot. Yeah, Longshot, the guy who’s power is luck and had hair flowing like the 80’s. Yet, writer Peter David makes every one of these characters stand out, even Longshot. The stories they take part in are far from the normal super hero game. X-Factor Investigations takes case of the odd and unexplainable. When you look at the team, it’s not that much of a far cry: Strong Guy died, was brought back to life by Layla and has no soul. Madrox has died, dimension hopped, and came back. Havok has died, led a team of very different X-Men in Mutant X, went to space for a bit and is now back. In the current issue, we see Strong Guy deal with the whole not having a soul thing, and how it has changed him, and changed how his own teammates act around him. Every issue brings such characterization, such realness to every character, making me wish every issue was double sized. Writer Peter David is a legend in the comic book world, but I think his run on X-Factor thus far is his greatest work yet. David was responsible for making the “All New” X-Factor from the 1990’s, and this current series is the ultimate homecoming. 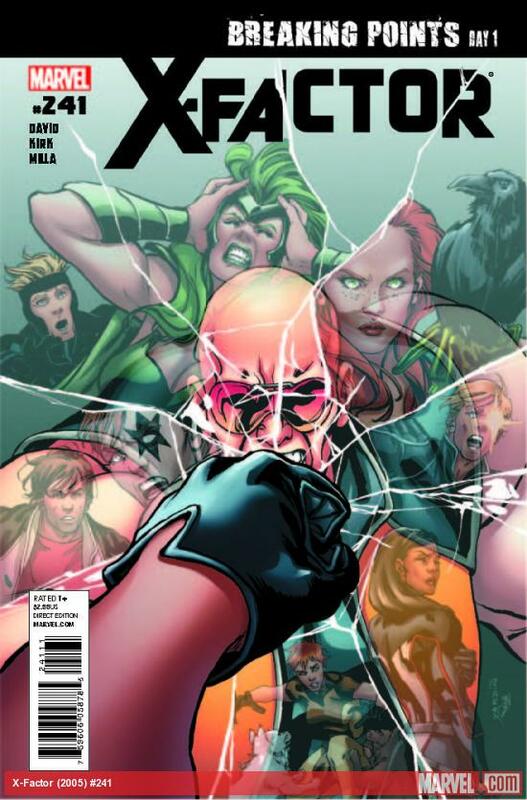 Featuring art by Leonard Kirk, X-Factor is the one must buy from Marvel for me every month. In the wake of all the crossovers and events, like Avengers Vs X-Men, X-Factor remains Marvel’s ace in the sleeve, and I cannot recommend the book enough. A new arc just started with issue #241, so now is a great time to jump on board and be ready for one hell of a ride.